Our Edinburgh and Lothian HIV/AIDS collection has had the distinction this week of being added to the UNESCO UK Memory of the World Register, a list of documentary heritage which holds cultural significance specific to the UK. During the 1980s Edinburgh was at the forefront of the battle against HIV and AIDS, with infection rates in the Lothian area 4 times the national average. A wide variety of organisations were involved in helping to tackle infection rates and provide care and support for those affected, including NHS Lothian, Lothian Regional Council, campaign groups and charities such as Crusaid. In the late 1980s, LHSA sought to record this episode in British history by actively collecting material specific to HIV/AIDS. This has resulted in a nationally significant resource; an equivalent cache of equally rich and historically important material relating is not known to exist elsewhere in the UK. LHSA continues to collect records relating to HIV and AIDS; the 11 sub collections which make up the resource span from 1983 to 2010, covering all aspects of the medical and social response to the disease. 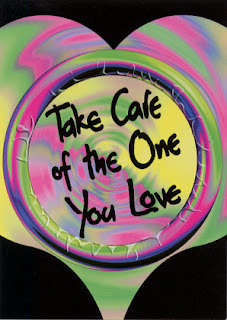 They consist of management, administration and policy papers, educational and promotional items including pamphlets, videos, board games, posters, postcards, badges and even condoms. The collections also include material relating to the memorable, and sometimes controversial, ‘Take Care’ campaign. The Edinburgh and Lothian HIV/AIDS collection was chosen by the expert committee of the UK Memory of the World programme following a nomination and review process that began in 2010. The register is part of a United Nations Educational, Scientific and Cultural Organization (UNESCO) programme to support and raise awareness of archives. We're thrilled that the importance of the Edinburgh and Lothian HIV/AIDS collection to the UK’s documentary history has been acknowledged. After graduation a medical student had to serve a practical apprenticeship or residency. To do this he had to obtain an approved appointment as a House Officer in a hospital. Before 1950 the usual period of service was six months, and before 1948 the position was unsalaried. The first female students were admitted in the 1920s. The Residents lived within the Infirmary building in the Residency, each new intake forming a separate ‘Mess’. The Residency contained a sitting room and a dining room as well as bedrooms. Food was supplied from the hospital kitchens. Residents in the RIE were bound by two sets of rules: one drawn up by the Board of Managers; the other drawn up by the Residents themselves and governing the running of their Mess. 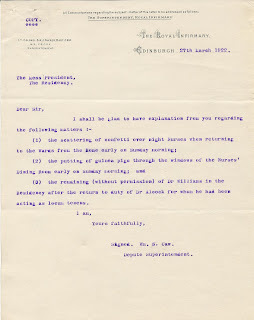 The files containing this letter are not fully catalogued and we hope that they will form the basis of a future cataloguing project for a volunteer. Who knows what else may be discovered within them? For more information about the RIE Residents, please visit section 114 of the RIE catalogue. 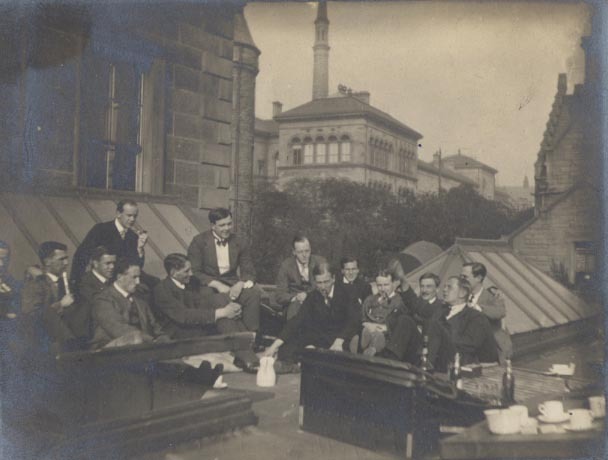 For a selection of Residency photos, please see our online exhibition 100 years of the Royal Infirmary of Edinburgh Residents. We recently held a seminar for some of the Edinburgh College of Art (eca) students that will produce the new works for display in the ‘Unsung Heroes’ project. The students looked at a selection of historic enamel badges in the LHSA collection in order to inspire new badges that they will make in the eca’s jewellery and silversmithing department. These new badges will sit alongside examples from the LHSA collection in a Royal Infirmary of Edinburgh installation, and provide a visual bridge between the archive material and the various non-badge creations produced by the students that will also be exhibited. 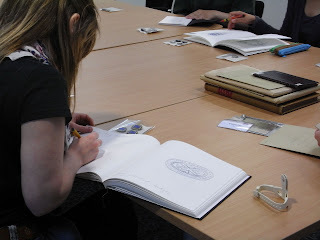 The students spent time during the seminar drawing from the badges, and it was exciting to see some of our collections in a new light: as a source for artistic expression. Stephen, our Archive Assistant, recently scanned about 200 film negative copies of photographs of former Presidents of the Royal Medical Society. The originals of these photographs were contained within an album that no longer exists, therefore, the negatives are the only known copy. The Royal Medical Society was formed in 1737 by medical students who met to further their education after formal teaching. Many of the Society members became notable practitioners. 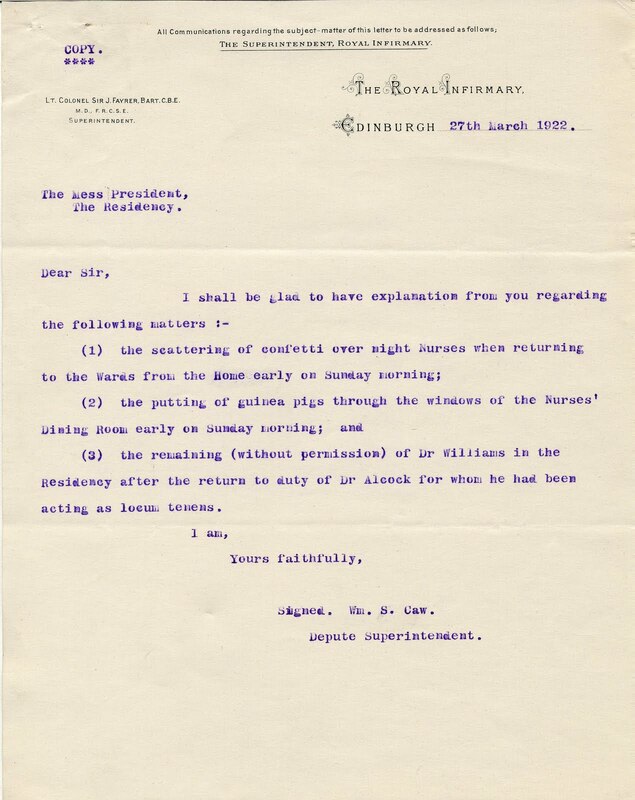 The negatives show Presidents of the Society from approximately 1809 to 1899 and include well-known Edinburgh figures such as David Skae, Sir James Young Simpson and Thomas Annandale. Although there are some dates on the outer sleeve for the film negatives, the names of the Presidents can only by identified from minute inscriptions photographed onto the negatives from the album. To make the images more accessible, the negatives have been scanned into a high quality format and uploaded onto our image catalogue. We will add all of the known information about the images to the catalogue, and then any of the Presidents can be easily searched for under the recorded terms.